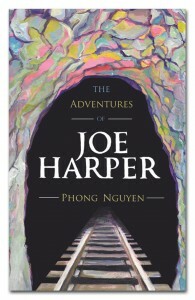 diaCRITIC Eric Nguyen reviews Phong Nguyen’s newest book, The Adventures of Joe Harper. 1, Boyhood & youth; 2 y & early manh; 3 the Battle of Life in many lands; 4 (age 37 to [40? ],) return & meet grown babies & toothless old drivelers who were the grandees of his boyhood. The Adored Unknown a [illegible] faded old maid & full of rasping, puritanical vinegar piety. Of course, neither did The Adventures of Tom Sawyer follow this trajectory nor did the narrative arc of the series—which includes The Adventures of Huckleberry Finn, Tom Sawyer Abroad, and Tom Sawyer, Detective. Twain eventually moved away from these original notes but one can’t help but feel disappointed at where the books ended. Indeed, an 1896 review in The Guardian called Tom Sawyer, Detective a “poorly conceived and badly put together” volume of “pot-boilers,” and accused Twain of caring more about “desirable dollars” than his reputation as an author. Phong Nguyen’s newest novel The Adventures of Joe Harper might have been where Twain wanted to go but didn’t. The literary spin-off begins in 1871, twenty or so years after Tom Sawyer and Huckleberry Finn. Joe Harper, Tom’s bosom friend, is now thirty-five. After ten years pirating at sea with Tom, his hometown St. Petersburg is not what it used to be: his pious mother is dead; the home where he once lived is now inhabited by strangers; the entire town has grown into something different. In a dream sequence, Joe sees himself stepping out onto the streets of St. Petersburg where “one face after another brought the promise of the familiar, but each one appeared stranger and stranger.” With nothing else he can do, Joe heads south to find “someplace southern and lonesome,” a cave where he can live as a hermit and die, something alluded to in Twain’s Tom Sawyer. Unexpectedly, Joe stumbles upon the cabin of a Lee, a quick-witted “Chinese Tom Sawyer” who’s on the run from the law. Lee invites him to stay the night, but this scene is cut short when law enforcement arrives. “I guess folks got wind of my sinful ways,” Lee says, not offering much explanation in the mad rush. The two dash away, hopping on the newly built transcontinental railroad to travel back to Lee’s hometown in California. Along the way, they meet hoboes; a violent bar-owning family; a vicious Mastiff; drug addicts squatting in an abandoned house; indentured black miners; a wealth-hating coal baron; Native Americans circus people; and a grown-up Tom Sawyer, who’s now a Deputy Marshall. The duo also picks up Ruth, an Amish woman fleeing an arranged marriage. While The Adventures of Joe Harper follows the picaresque structure of Twain’s novels, Nguyen’s scope is larger and more ambitious. Whereas Tom Sawyer was an observation of a boyhood in Missouri and Huckleberry Finn an adventure in the South, Joe Harper explores the continental United States, or at least what’s west of the Mississippi. It is also a more diverse United States. With Joe Harper, Nguyen reinserts the voices of the marginalized into the story of the America. Continuing the work of a writer from the 19th century, Nguyen proclaims that we have always been here, we have been an integral part of the American story. And it’s a complex story. Under the veneer of an adventure novel is a not-so-subtle critique of American power and racism. With Joe, Nguyen has created a lovably bumbling character who’s mostly oblivious to the workings of his not entirely innocent milieu. In Nguyen’s world, the difference between a pirate and privateer is the legitimization of power; people of color are continually pushed aside for the progress of white men; goodwill consists of performative gestures in which the poor are only pawns; religious leaders are con artists; and violent people are put into power. Beyond the novel’s three main characters, the author has populated a world that—while cartoonish at times—is reflective of our world (if not a perfect reflection than at least a funhouse mirror). In another scene, Joe learns that Native Americans “started out the same way as white men” and that “[t]hey warn’t so severe and somber as the pictures I’d seen.” The novel is a journey of a man opening his eyes to both our deplorable behaviors and our common humanity. But these moments are less interesting than when Nguyen presents Joe at moral crossroads, such as it is at the end of the novel where Joe’s desires, jealousy, and white identity are pitted against his newly found friendship with Lee and Ruth—a twist in the narrative that places a white man against two disenfranchised characters, something quite resonant in post-2016 election America. Also of interest are flashbacks to Joe’s years at sea and his rescue by Mala the female corsair, a former slave who travels “to take back from the empire that robbed the soul of Africa” and stands as the antithesis of everything Joe knows of the United States. These moments are fewer and farther in between than this reader would have wanted, but there are enough of them to balance a novel that is quick-moving and comical, giving it a seriousness that is more Huckleberry Finn than Tom Sawyer, yet wholly Nguyen’s very own. In his dedication, Nguyen writes, “This book is dedicated to Mark Twain who, though I stand knee-high to his genius, would not, I believe, try to shake me off his leg.” In The Adventures of Joe Harper, Nguyen shows he has an ear Twain’s voice and his brand of biting satire. But unlike Twain, Nguyen gives voice to those who are historically excluded, something Twain, could not have done, no matter how great a writer he was. On a craft level, Nguyen also plays with reader expectations and reader empathy, especially as the book comes to a close. The Adventures of Joe Harper proves itself not only a fitting addition to Twain’s series but a novel that can stand very much on its own, a novel that belongs very much in our time. Twain would not have disapproved. 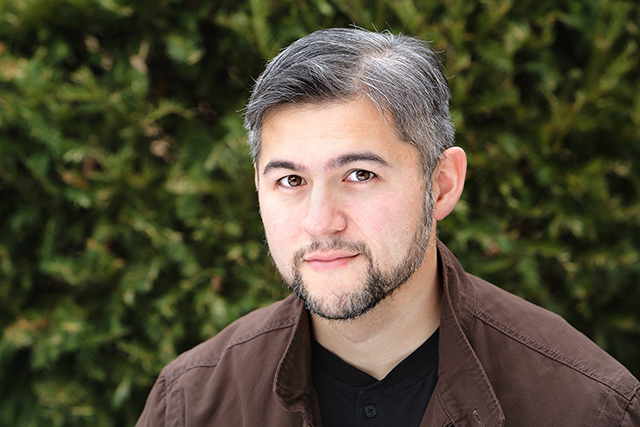 Eric Nguyen has a MFA in creative writing from McNeese State University and BA in sociology from the University of Maryland. He has been awarded writing fellowships from the Lambda Literary Foundation and Voices of Our Nation Arts (VONA).